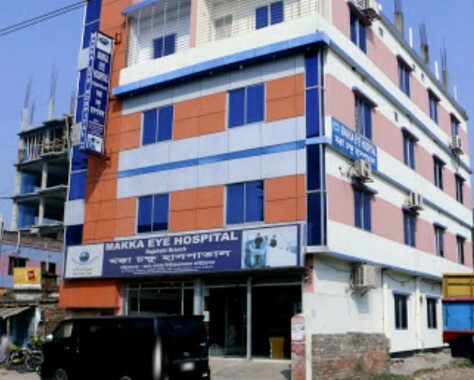 Makka Eye Hospital Rajshahi Location, Helpline Number, Address, Specialist Doctor List! Hello Dear, welcome to Makka Eye Hospital Rajshahi Doctor List, Hotline Number, Address & More Info Content. In Bangladesh, the Makka Eye Hospital Rajshahi is a popular hospital. So, many people are searching, how to know Makka Eye Hospital Rajshahi Address, Contact Number, Specialist Doctor List and Official Website. So, we update here all details contact information about the Makka Eye Hospital Rajshahi Doctor List, exact Location, Email, Mobile number. We hope this content help to know all information about the Makka Eye Hospital Rajshahi, Bangladesh. Makka Eye Hospital-Rajshahi is one of the best Eye Hospitals in Rajshahi province. Since its launching in 2011 the hospital is offering the latest types of medical services to the patients coming to it with different eye diseases. The hospital could also prove its humanitarian standpoint through the free services offered to the poor and underprivileged people of the area. The efficiency, hardworking, devoutness to the blindness control program are the some advantages that helped her to be the most desired eye hospital in the Rajshshi province. Address: 76, Sagar Para, Ghoramara, Boalia, Rajshahi, Bangladesh. Thanks for staying with us a long time and visiting Makka Eye Hospital Rajshahi Doctor List, Hotline Number, Address & More Info Content. If you have any question about the Makka Eye Hospital Rajshahi Bangladesh? Just comment here. We reply as soon as possible.